A long open road, wind in your face, and an all-American cruiser. That's the quintessential Harley-Davidson life, or at least the popular American cruiser motorcycle lifestyle most of us have identified with at some point or the other. And the new Harley-Davidson Forty-Eight Special more or less ticks all of that, with its retro appeal and 'cool' all-American personality. It's not an all-new model, the Forty-Eight Special, but it has fresh appeal, with eye-catching custom paint schemes which invokes the heydays of pop culture in the 1970s, and new Tallboy handlebars offering different ergonomics. And yes, it's a striking motorcycle to look at, from all angles. Complemented by gleaming chrome and blacked out bits, the Forty-Eight Special certainly plays the part of being the star of a classic Hollywood motorcycle blockbuster. But does it ride as good as it looks? 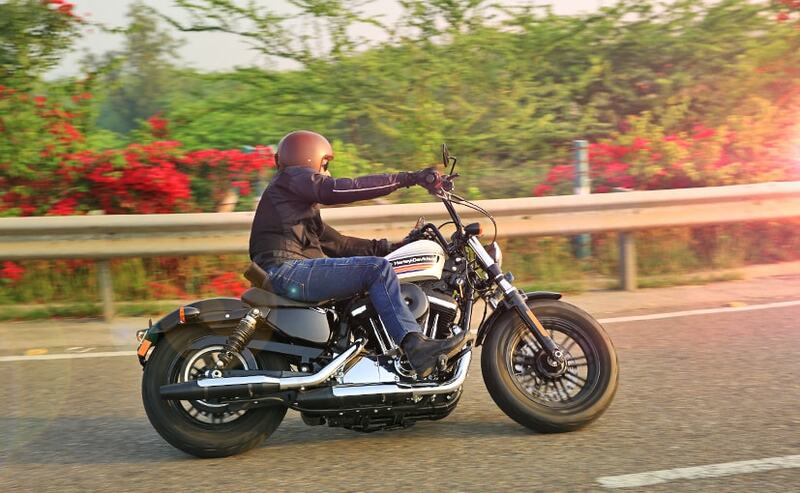 The big 1200 cc, Evolution v-twin engine is air-cooled, typical of Harleys from a not-so-distant era where 'character' and 'personality' were all that mattered, coupled with blue jeans, black leather and the long, open road. With 97 Nm of peak torque on tap, there's enough performance from the air-cooled v-twin to keep you satisfied, dashing from stop light to stop light, or out for a weekend cruise to your favourite coffee shop with your biker buddies. The five-speed gearbox is precise, but clunky; but the gear ratios are well-sorted to give you decent pulling power. Speaking of which, pulling power is adequate, but the engine isn't exactly free revving, so outright acceleration is limited due to that, more than a lack of punch from the engine. 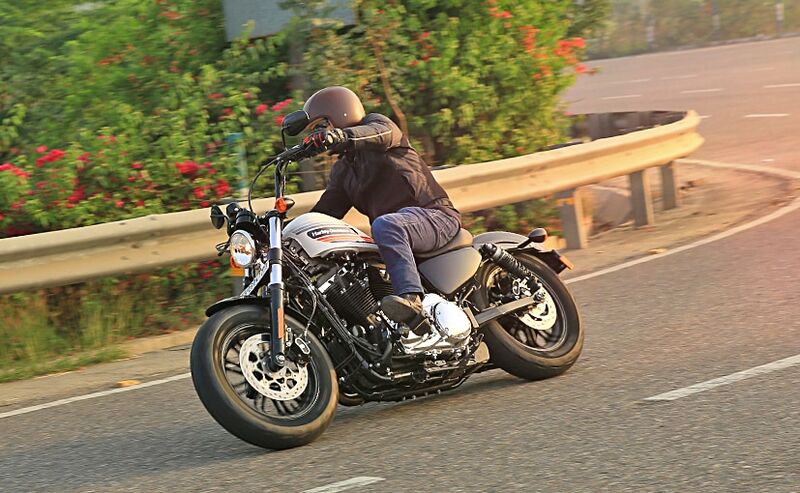 But it's instantly likeable, the combination of the v-twin rumble and the upright riding position, with the classic feet-forward cruiser position. The tall handlebars work well with the beefy 49 mm fork and chunky 130 mm Michelin Scorcher tyres. 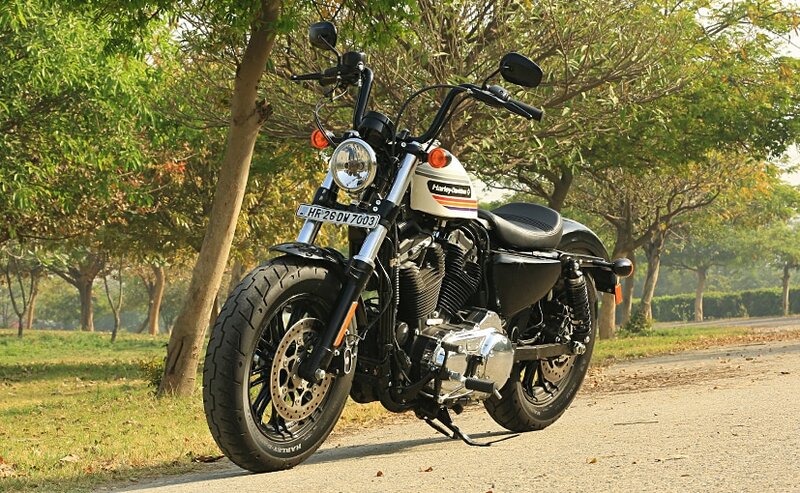 In fact, the Forty-Eight Special is quite a fun motorcycle to ride, and it's quite a handler around a set of corners, but be warned that the footpeg feeler bolts will be sacrificed if you're the kind who's suddenly in a hurry every time you see a twisty road. It's not exactly a startling experience, and you get used to the feeler bolts grinding against asphalt pretty soon. But if you like your ride to be in ship-shape condition, be prepared, the limited cornering clearance will have you shearing those bolts under the pegs sooner than you expect. With a typical Harley peanut-shaped fuel tank with 7.9 litres capacity, the Forty-Eight Special is no 'highway star', so let's get that out of the way. In case you're looking at long distance riding, be prepared to make frequent fuel stops, after every 100 km or so, when the low fuel warning light will make you pull over at the nearest gas station, possibly breaking your meditative cruise. 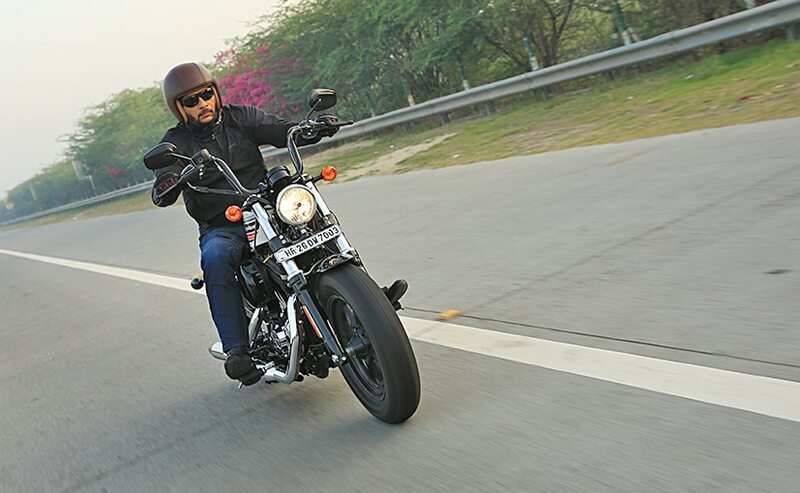 Riding it around the city for two days, I had to re-fuel twice, so frequent trips to the fuel station will be a part of the Forty-Eight Special's ownership regime, but that will also mean more envious glances and appreciative stares, and the usual "kitna deti hai" query from other two-wheeler riders. 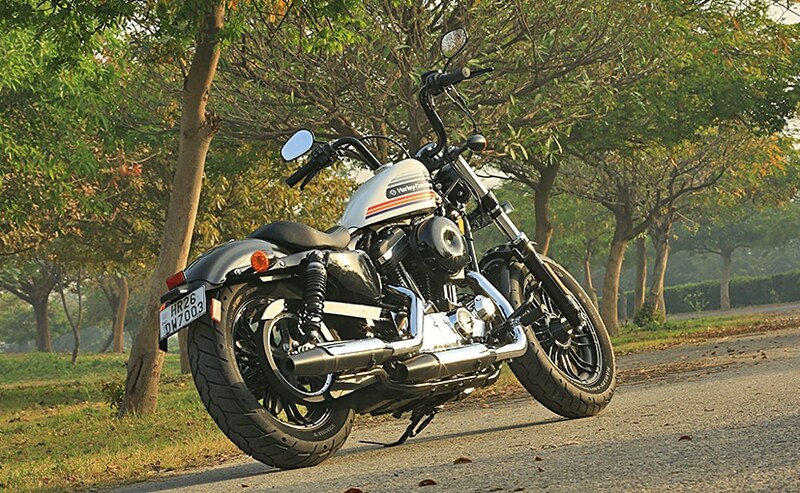 The Harley-Davidson Forty-Eight Special will certainly make you feel special, and look cool. It's happy to make the dash from stop light to stop light and the engine has just enough punch to make you smile. But if you're looking for outright acceleration, your best bet is to look elsewhere. Anything over 120 kmph, and it becomes tiring after a few minutes, although it can certainly hit a top speed of 150 kmph and more. 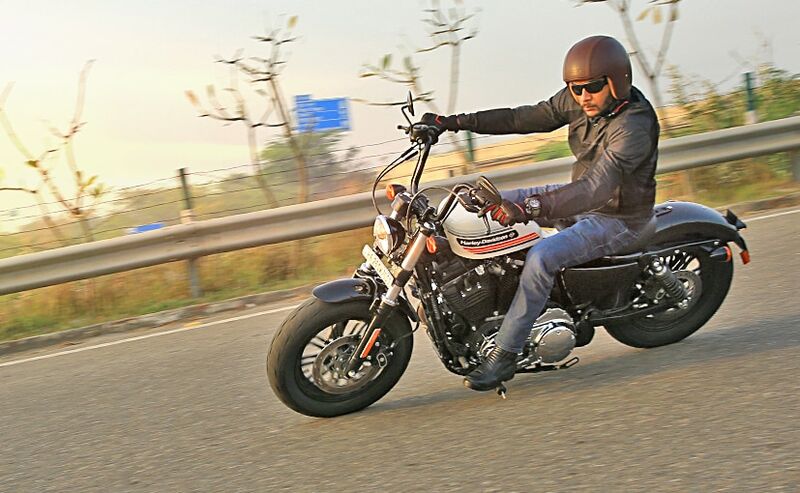 But riding the Forty-Eight Special within the urban environment, particularly in the mid-day heat of the Indian summer is what makes you forget all about its cool looks, and hipster personality. The suspension has limited travel, and a near 100 km ride from Greater Noida to Gurgaon, through Delhi and Faridabad, left me without words, and in a not so elated mood, and a backside longing for some more comfort. The solo saddle looks good, but it's fairly thin; although it has a low height, but coupled with the stiffly sprung suspension, it's not a happy place to be in if you're going to be tackling the usual Indian road for more than a half hour. The air-cooled v-twin lets out a nice throaty rumble at stop lights and the Forty-Eight Special is quite the attention stealer too. But the heat from the engine makes things more than uncomfortable if you're stuck in bumper to bumper traffic for more than a couple of minutes. 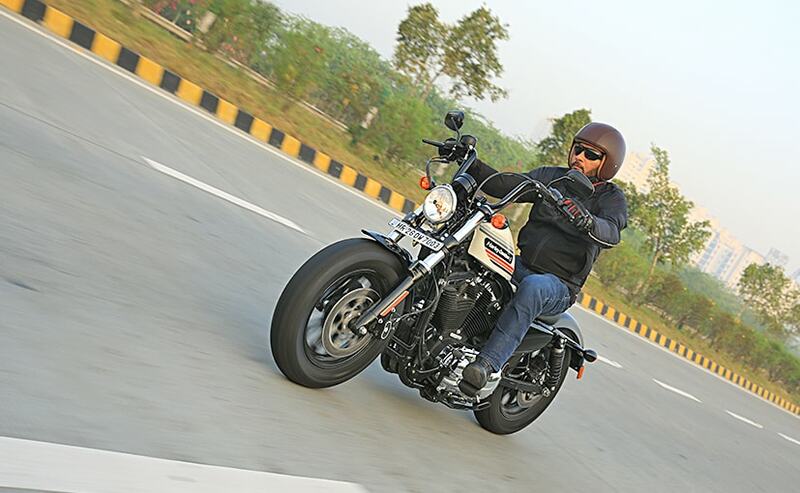 At ₹ 10.98 lakh (ex-showroom) for the base vivid black model, going up to ₹ 11.52 lakh (ex-showroom) for the two-tone custom colour variant, the Harley-Davidson Forty-Eight Special is definitely not your affordable cruiser. After all, there's a price to be paid to look uber cool and enhance your riding personality. But at that price, there's also no modern electronic rider aids like traction control, or riding modes; all you get is standard dual-channel ABS. But if you're the kind of guy who wants to make a statement with your ride, and nothing short of an all-American v-twin cruiser will do, by all means take a good look at the Forty-Eight Special, you may end up bringing it home. Just keep in mind that it may start losing its appeal soon, more so, if you'll be looking to cover long distances, and over not so smooth tarmac.